While massive restaurant chains might have resources to build out their own management systems or integrate with larger point-of-sale providers, Toast — a provider of tools for restaurants to manage their business — is raising a big round of funding to go after everyone else. Now Toast is a business valued at $1.4 billion thanks to a fresh infusion of $115 million in its latest round of funding. 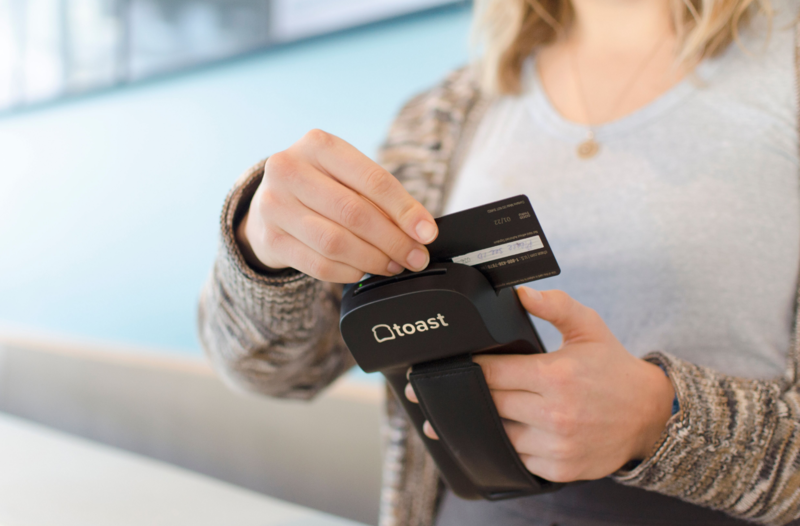 At its core, Toast is a point-of-sale for restaurants, though over time it’s added more and more services on top of that. Now the goal is to be not just a point of sale, but offer a whole system to help restaurants operate efficiently. That can range from the actual point of sale all the way to loyalty programs and reporting on that information. The round was led by T. Rowe Price Associates, with participation from new investor Tiger Global Management and other existing investors. Starting off in 2011 as a point-of-sale business, the company now offers a complete suite of tools that help restaurants streamline both the front and back house of the restaurant. And as Toast collects more and more data on how restaurants are using its tools — like any startup with a lot of inbound data, really — it can start helping those restaurants figure out how to improve their businesses further. That might be modifying menus slightly based on what people are enjoying, or pointing them in the right direction as to when to make slight adjustments to their basic operations. There’s also an online ordering part of the business. Toast helps restaurants boot up an online ordering part of their business quickly, in addition to offering tools to help streamline that process. A restaurant might deal with a flood of orders or throttle them if necessary. Businesses then get reports on their whole online ordering business, helping them further calibrate what to offer — and what might work better for the in-person experience as well. The next focus for Toast, Comparto said, is figuring out the labor side of the equation. That comes down to helping restaurants not only find new employees, but also figure out how to retain them in an industry with a significant amount of turnover. Attacking the hiring part of the problem is one approach, though there are other approaches like Pared, which looks to turn the labor market for restaurants into an on-demand one. But there’s obvious low-hanging fruit, like making it easier to switch shifts among other things, Comparto said. Toast isn’t the only startup looking to own a point-of-sale and then expand into other elements of running a business, though. Lightspeed POST, which also offers a pretty large set of tools for brick-and-mortar stores — including restaurants — raised $166 million late last year.There are also the obvious point-of-sale competitors like Square that, while designed to be a broad solution and not just target restaurants, are pretty widely adopted and can also try to own that whole restaurant management stack from clocking in and out to getting reports on what’s selling well.